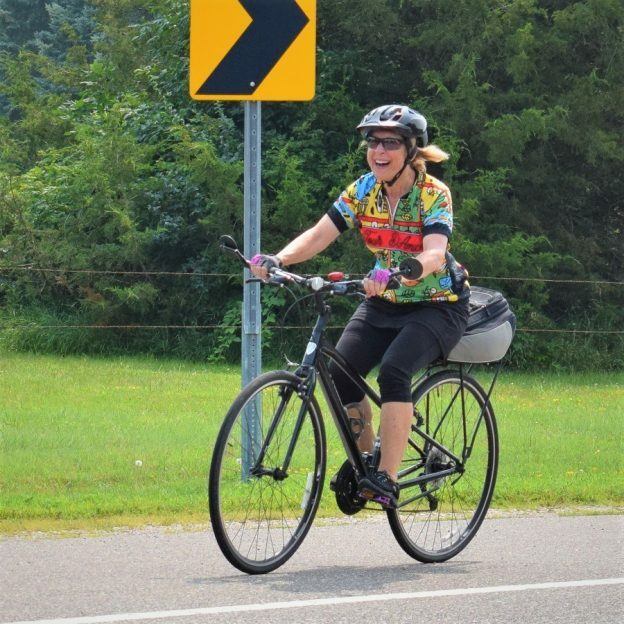 In this Thursday bike pic we caught this biker chick having fun riding on the Mississippi River Trail, west of Hastings, MN riding towards Pine Bend. 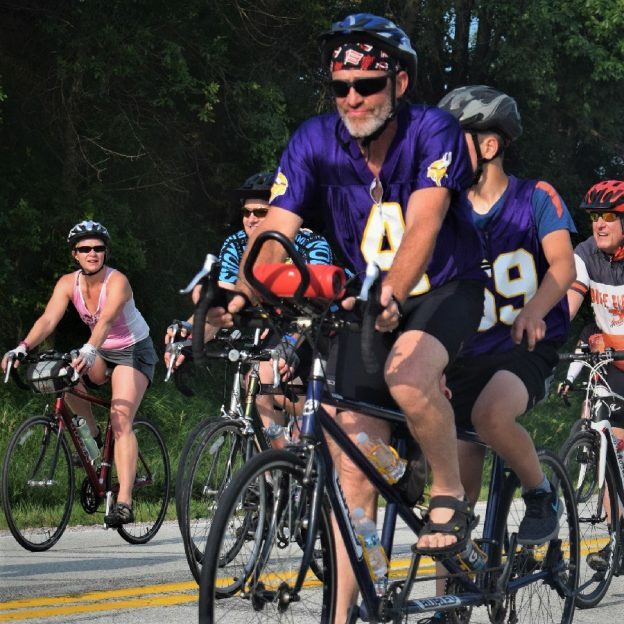 A great place to visit and ride, Hastings offers a ten-mile trail loop with many additional trail spurs and bike friendly roads for added miles. 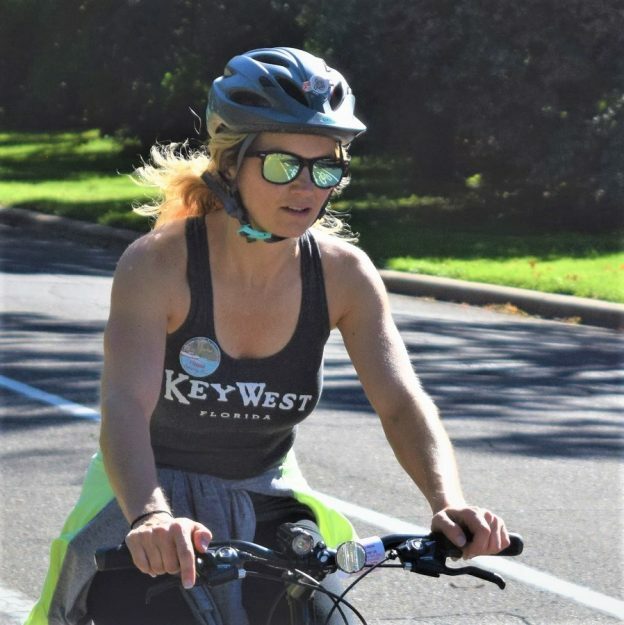 With fall weather soon approaching, find many more family fun bike ride opportunities to explore in the new Iowa or Minnesota Bike/Hike Guide. 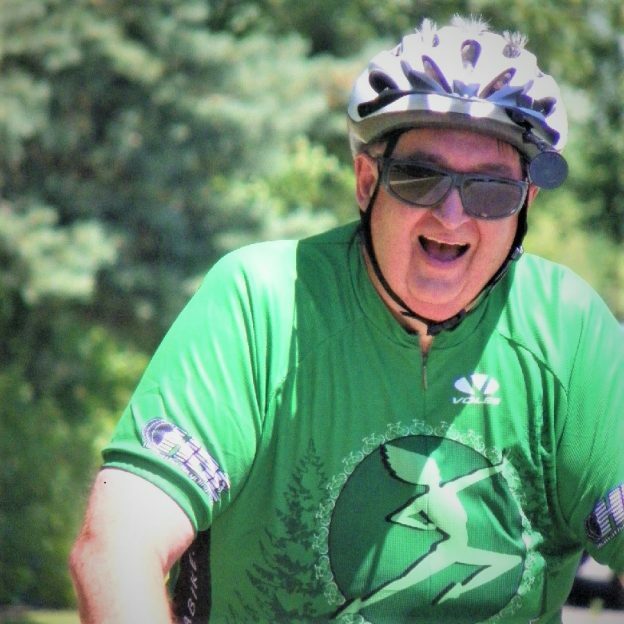 This entry was posted in Picture of the Day and tagged bike touring, Dakota County, discover Hastings MN, Minnesota Bike/Hike Guide, Minnesota trails, Mississippi River Trail, MN trails, Summer fun, sunglasses on August 23, 2018 by Russ Lowthian. 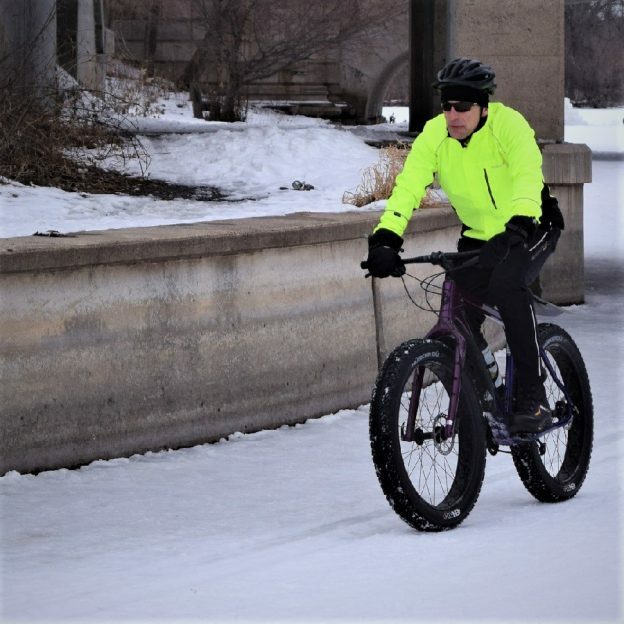 Here in today’s bike pic this bold north biker dude commutes to work on his fatty, through the channel from Lake of the Isles to Lake Calhoun, into the Monday morning sun, in Minneapolis. 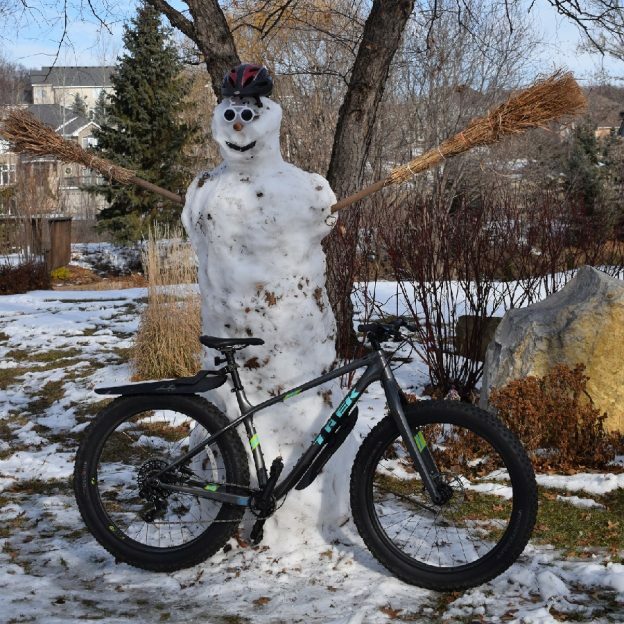 This entry was posted in Picture of the Day and tagged bicycle lifestyle, Bike commuting, fat biking, ice biking, Minneapolis MN, Minnesota fat biking, Minnesota Mountain Bike Trails, Minnesota Off-Road Cyclists, Minnesota trails, MORC, motivation monday, mountain bike fun, Mountain Biking, picture of the day, sunglasses on February 26, 2018 by Russ Lowthian. 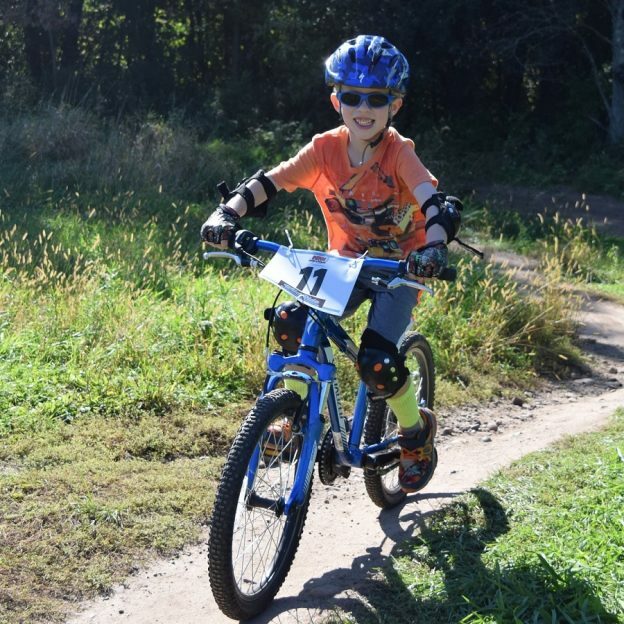 With sun glasses, sunscreen and other articles of protection, its a great day for trail riding fun, at any age. Photo captured in Lebanon Hills Park, near Lakeville, MN. 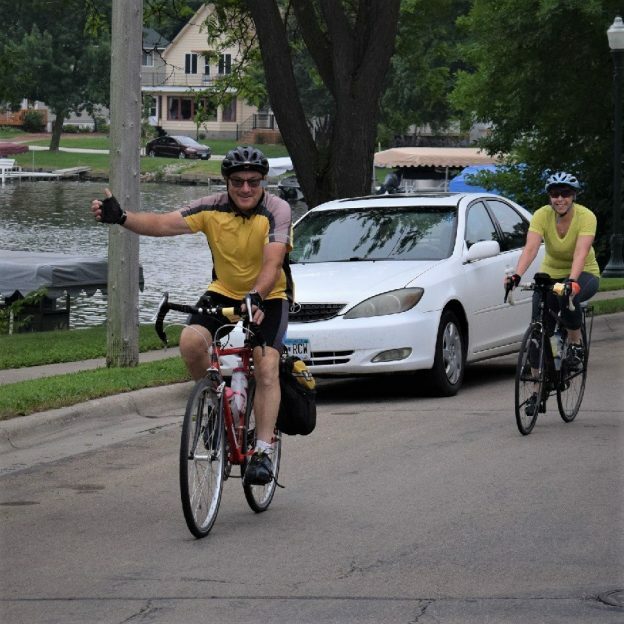 This entry was posted in News and tagged #nextbikeadventure, bike pads, free bike maps, Lakeville MN, Lebanon Hills Regional park, Minnesota Bike Guide, Minnesota High School Bicycle League, Minnesota Off-Road Cyclists, Minnesota trails, MORC, moutain biking, sunglasses, sunscreen protection, trail riding on July 19, 2017 by Russ Lowthian.